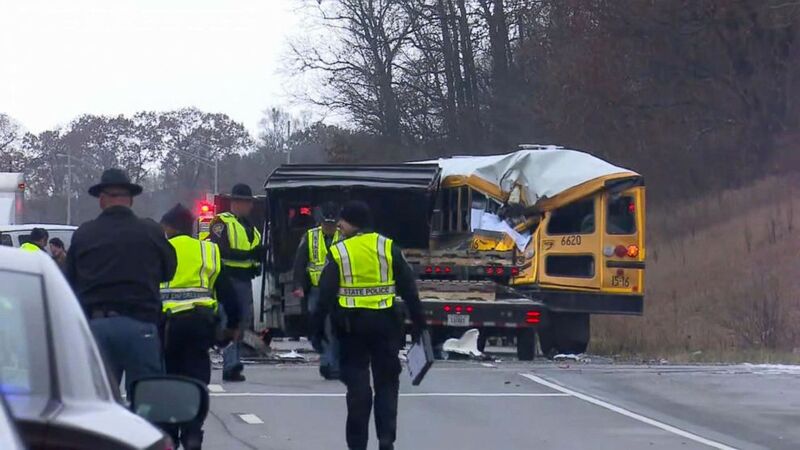 There were 38 eighth graders and three chaperones from the Eastern Pulaski school district on the bus when it collided with a straight truck around 9 a.m., the Indiana State Police said. The accident occurred on U.S. 31 near Argos, which is located about 30 miles south of South Bend. 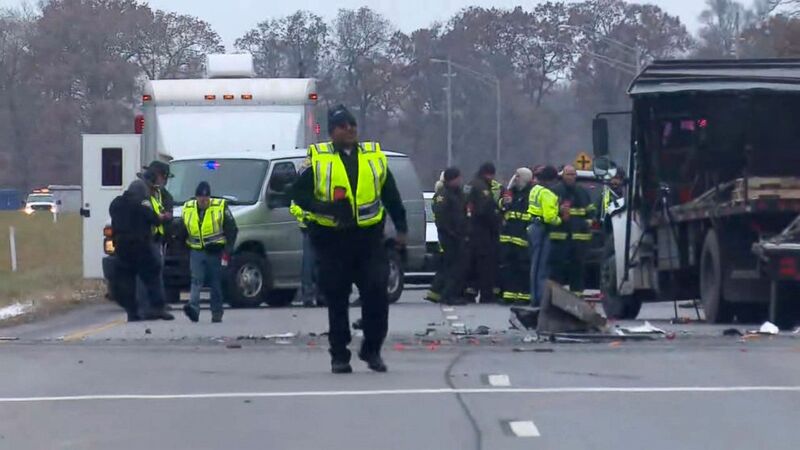 A packed school bus collided with a flatbed truck in a fatal accident, Dec. 5, 2018, in Indiana. We may need to help each other deal with some confused feelings. The other students were taken to a hospital to be evaluated, police said. 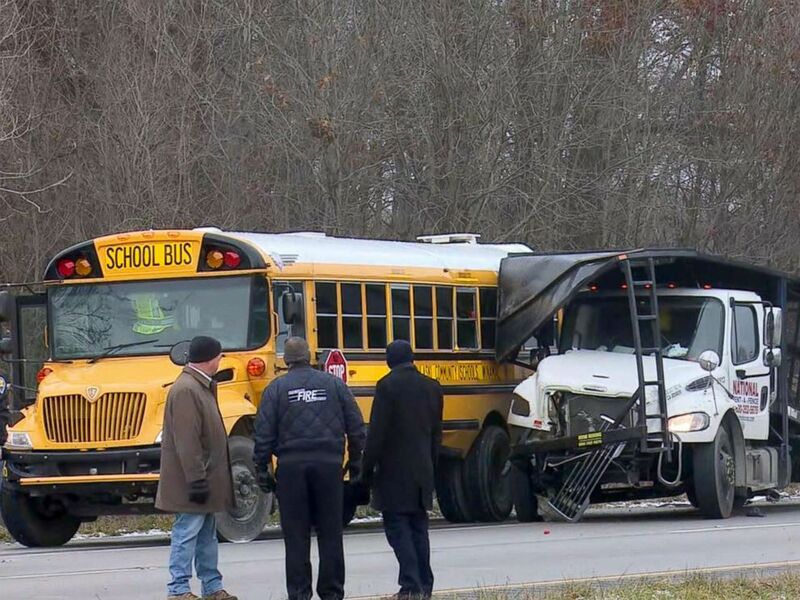 "All the other students, including the student airlifted from the scene, as well as the bus driver, have been released from the hospital.," Eastern Pulaski Superintendent Dan Foster said in a statement Wednesday. Weather isn't believed to have been a factor, police added. Meanwhile, the school district is left in mourning. "As we ask the community to come together to pray for the families, our students and our staff during this difficult time," Foster said. Counselors and pastors were available Wednesday and will be at school on Thursday, Foster said. "We may need to help each other deal with some confused feelings," Foster said. "A first reaction may be to feel upset, saddened, shocked, angry, frustrated or even just numb. It is important to remember that each of us may react and grieve differently and that it is important to respect each person's reactions."